Inserted into an existing industrial warehouse, this new tenant space includes offices, labs and product warehousing. These 3 functions are organized in a clear and simple layout that can expand extrusion-like over time. 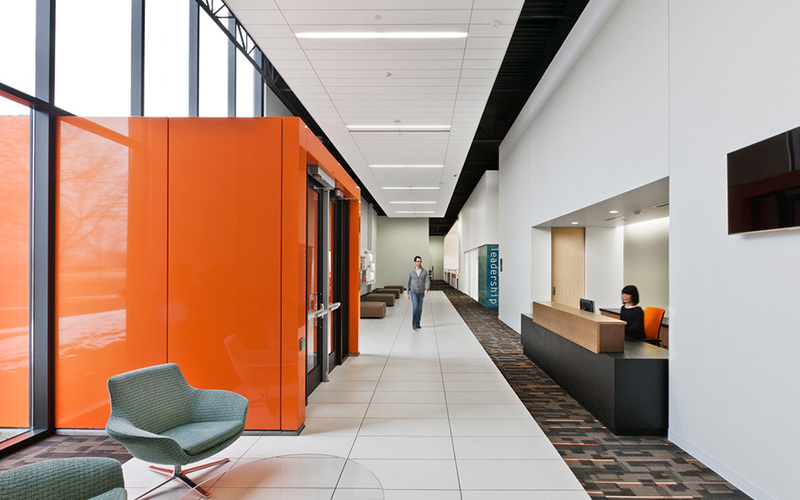 Daylight, transparency, connectedness and open interactive spaces are emphasized through the design. 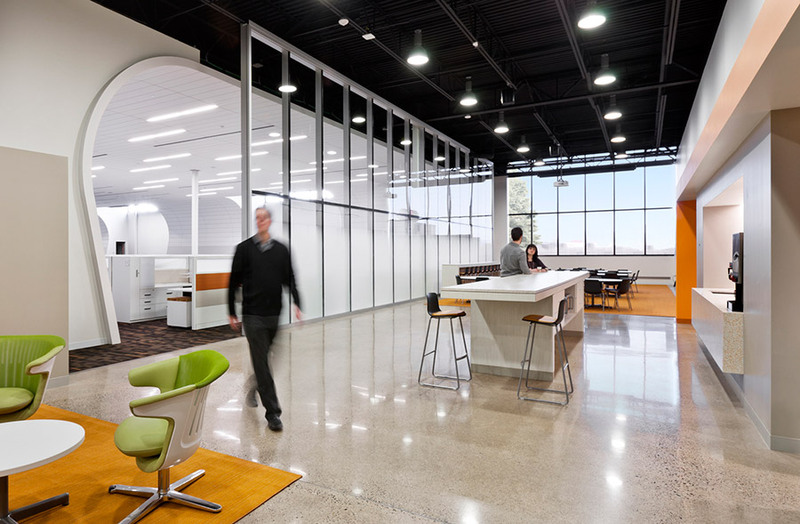 The main entry and a large flexible gathering area define the edges of the space – which is organized adjacent to a central space containing the work environment. The structure’s height is capitalized upon to create a light and airy internal environment with central-axis sky lighting. 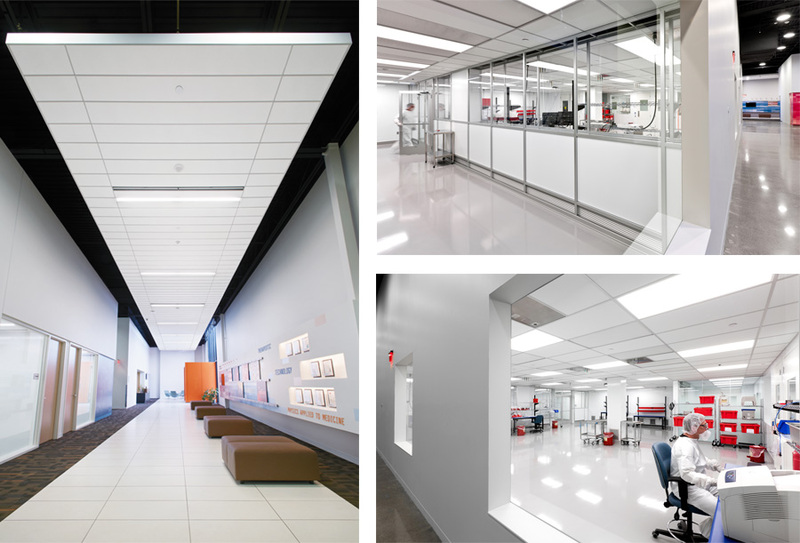 Labs and a cleanroom are organized along this axis – showcasing them and providing views and borrowed light into the spaces. 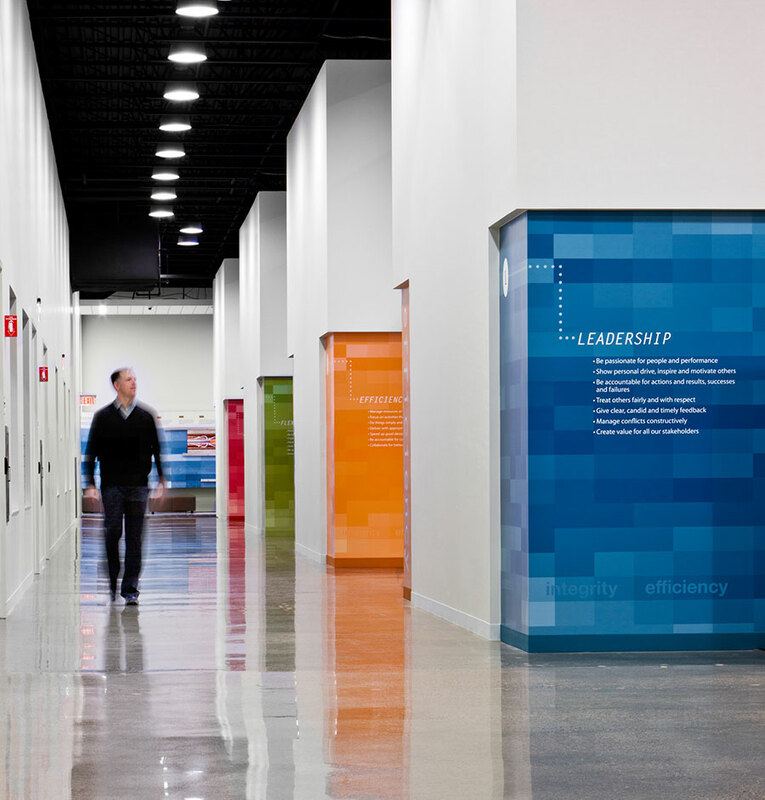 The clean, day-after-tomorrow modernity is indicative of a world-class medical manufacturing organization and provides a memorable image within the context of the existing office/warehouse.